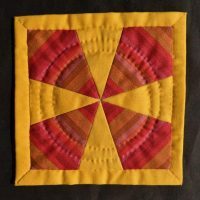 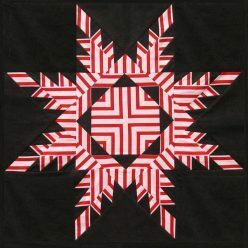 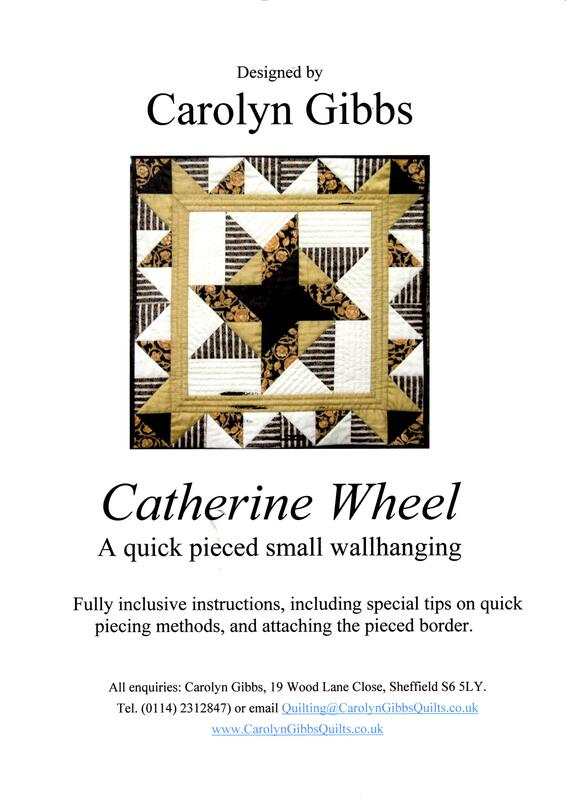 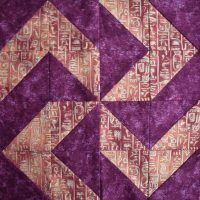 The 11 pages of detailed instructions for this small wallhanging introduce some novel quick-piecing techniques which, together with the pre-planning of pressing directions will give fast, accurate results. 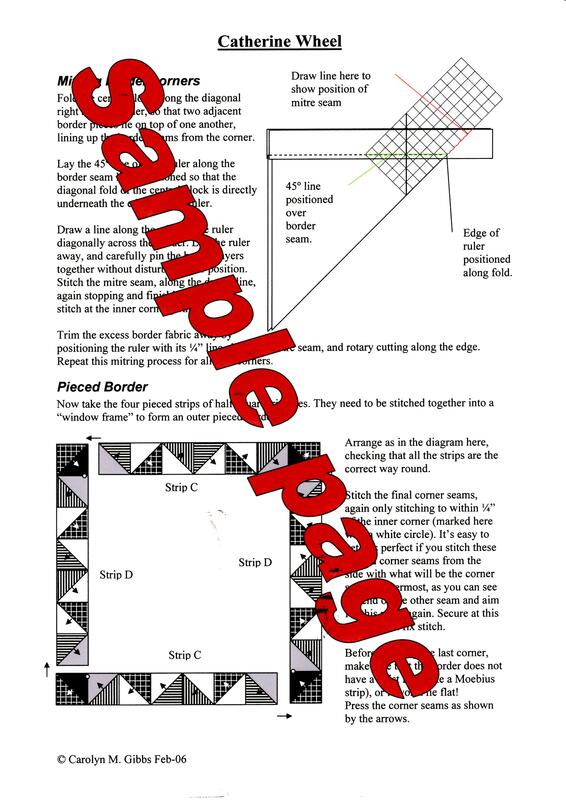 The instructions cover how an optional striped fabric can be used to give extra effect. 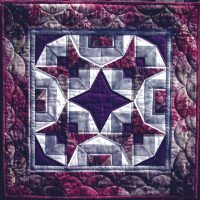 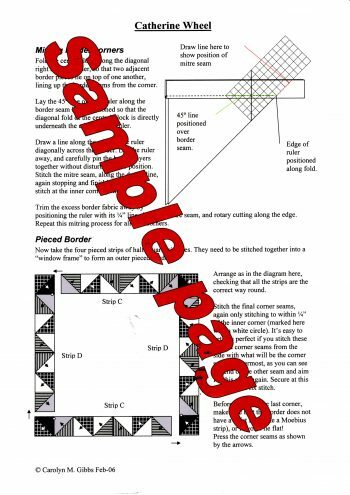 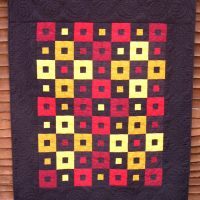 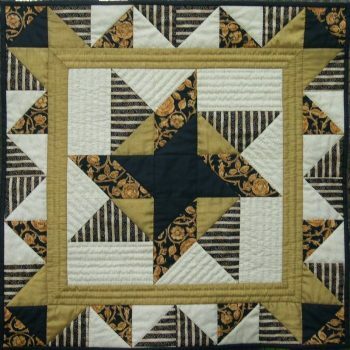 Detailed guidance is also given on fitting a pieced border perfectly, and mitring border corners.